After a nice little break, I'm feeling ready for Christmas finally. You? 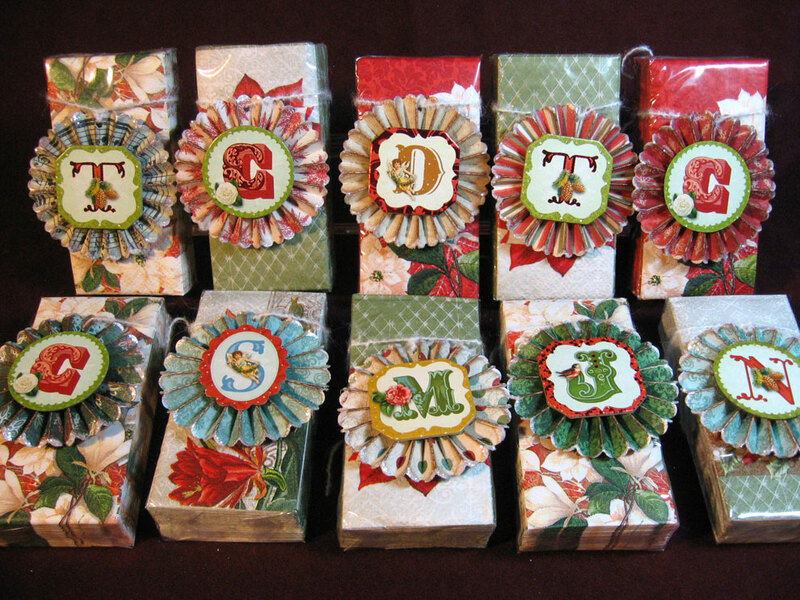 I'm wrapping the last bit of gifts today. I've met with several friends over the past two weeks, sharing coffee and gifts, and truly relishing in the fact of having so many wonderful friends to share the holidays with. Friendships mean so much to me, like yourselves, and I can only hope my friends know how much I love and appreciate them. 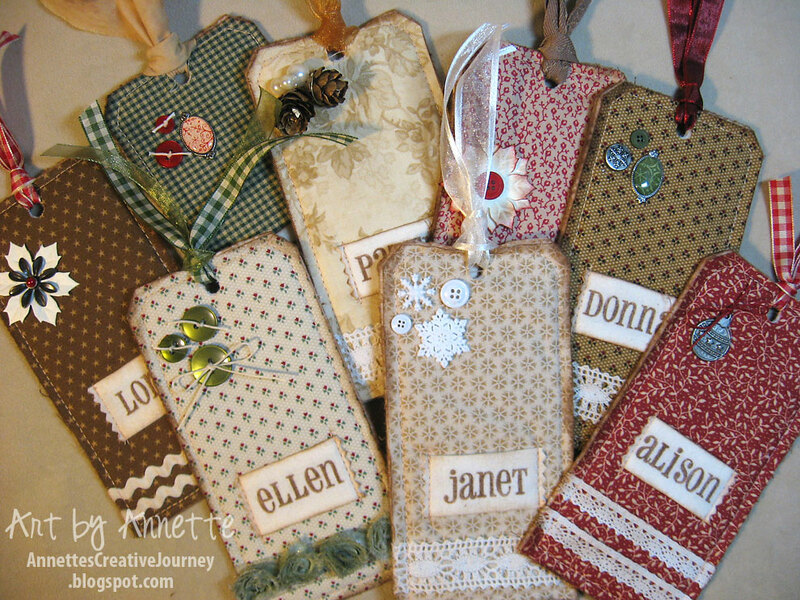 I've been also having some fun making decorative Christmas tags. Tim Holtz's rosette die is such a great one to use for many quick projects. Just check out his mini Christmas trees he made with three of the rosettes. I just love them. 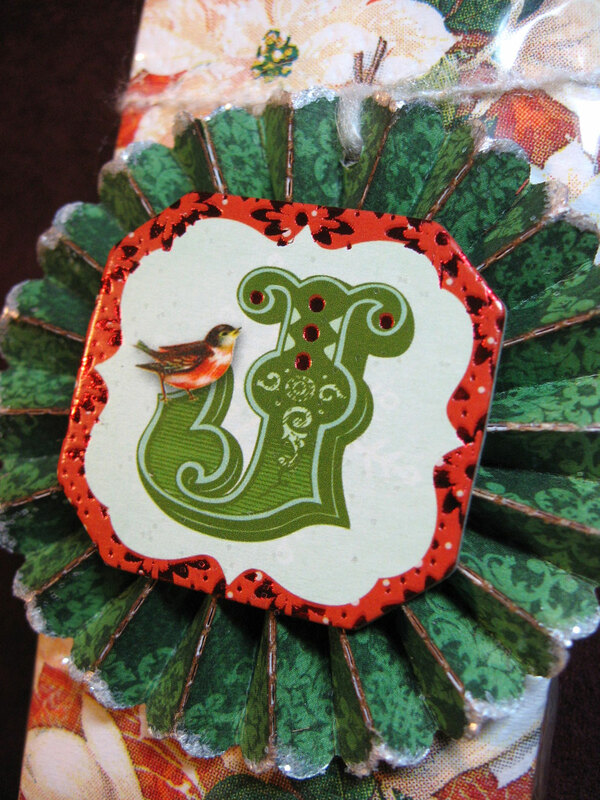 Here is a quick tag idea using leftover strips of holiday paper, Tim's rosette die, and some vintage style chipboard letters. I added a bit of Pearl paint dabber to the outside edges and then dipped the outer edge into some Martha Stewart Crystal coarse glitter. These were so addictive to make! I liked trying different pattern papers to get different effects. I could have made a hundred of these, they were so fun and easy. 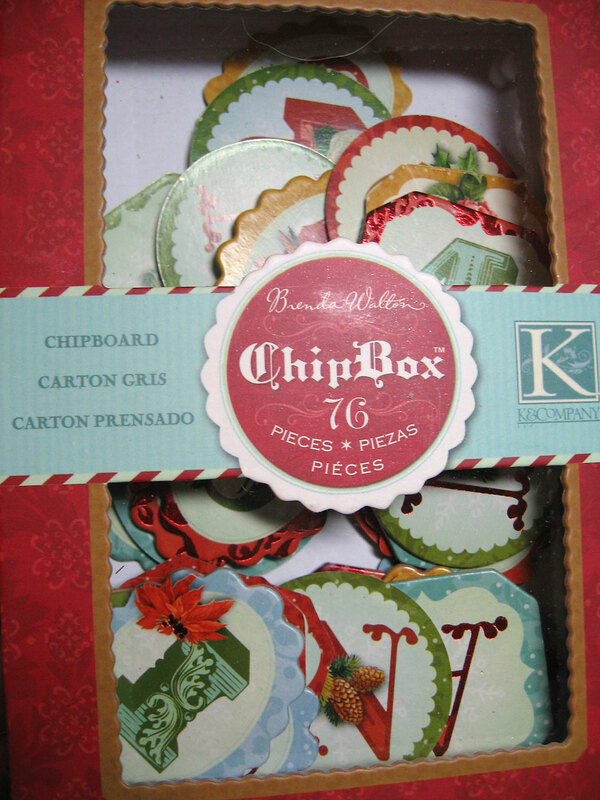 I've had these chipboard letters a few years now. There are so many in the package! 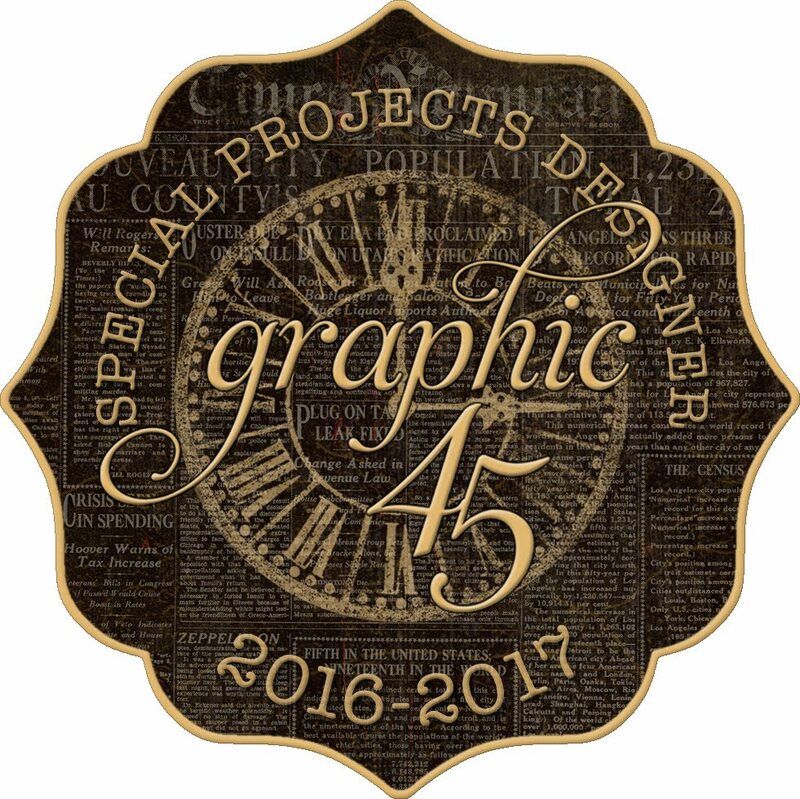 They're by K&Company and are printed on both sides. They were perfect as monograms on my little tags. 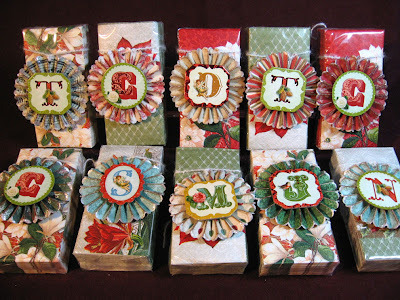 I punched a hole in the top of each and added some fluffy white string then tied them around these festive holiday tissue packages I got from my local craft store dollar section. A simple and pretty little thank you gift for my club girls. 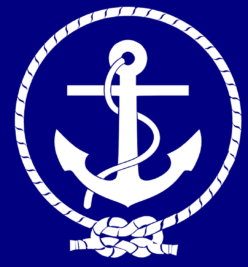 Perhaps they'll keep the rosette tag and hang it on their Christmas tree. 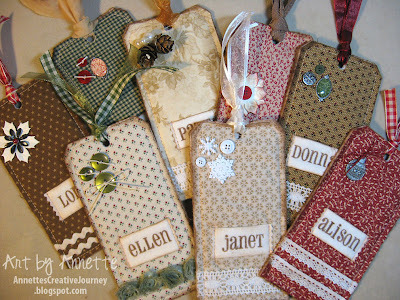 I am constantly inspired by Tammy Tutterow's blog and recently saw this idea for fabric gift tags. (She gives you a link to a tutorial there.) They are super easy to make and talk about addictive! I made a dozen of these in an afternoon. Each one is cut from Tim Holtz's Tag & Bookplate die which is substantial in size. Each measures about 3 x 6 inches. Thanks for stopping by today. I'll be back tomorrow with our decorated gingerbread cookies my daughter and I made this year, plus a Graphic 45 Christmas mini album I gave to my friend Lisa. I love my Christmas Album, and the tags are already on the tree!! Have a wonderfully inspired Merry Christmas!! I love the tags! You did a fabulous job. The addition of lace and trim is awesome! Fantastic! Have a wonderful holiday week! New years eve finds me blog hopping, in bed, with my iPad. Modern life, huh? 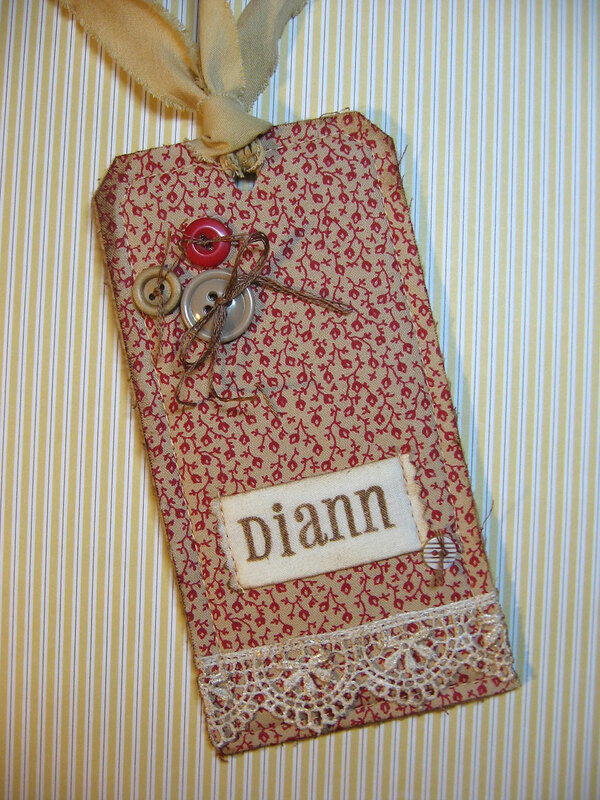 The rosette tags are cute, and the fabric tags inspire me to get my machine out...it's been put away for too long. Happy new year.